First the stash report – nothing used and nothing in. But I played with fabric this week. It’s just been really slow. 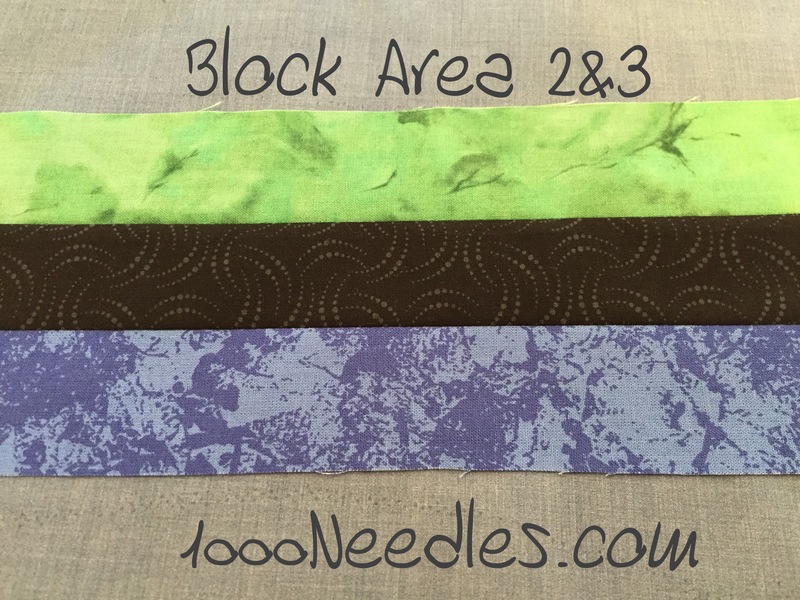 I’ve been working on Moon Glow and Month 12 has 20 different fabric. 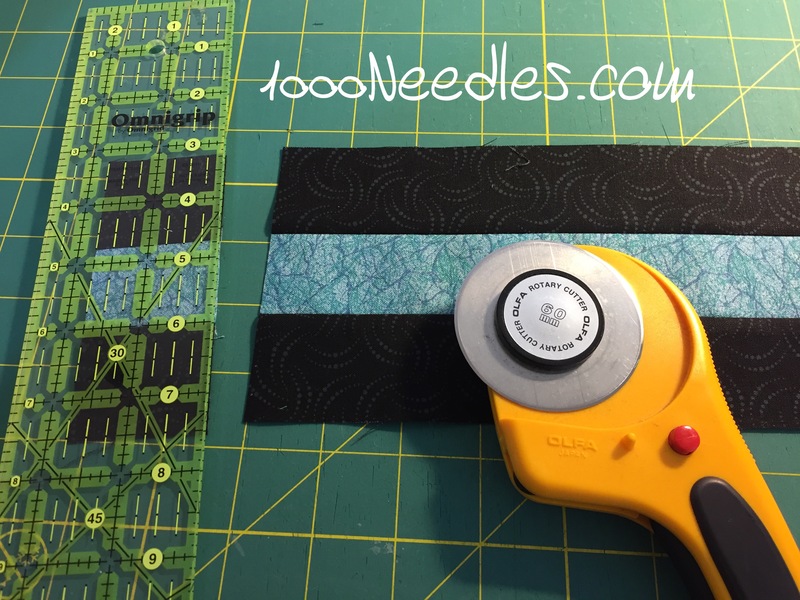 the first 6 steps were cut, cut, piece a little bit, and cut a lot more. 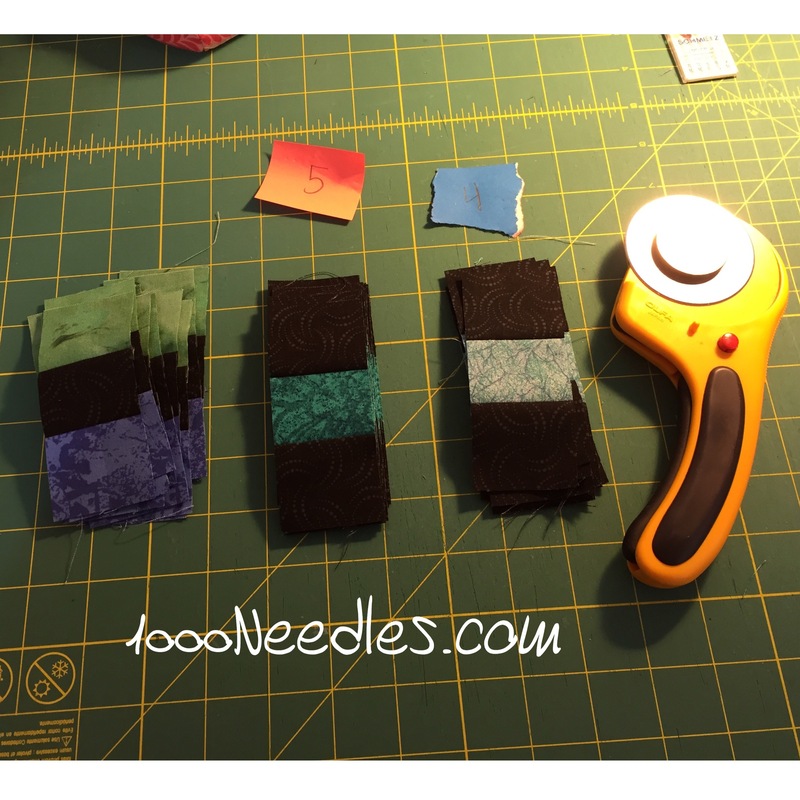 This was step 3 and the next step was to cut 12 strips of 1-3/4″ for each set. 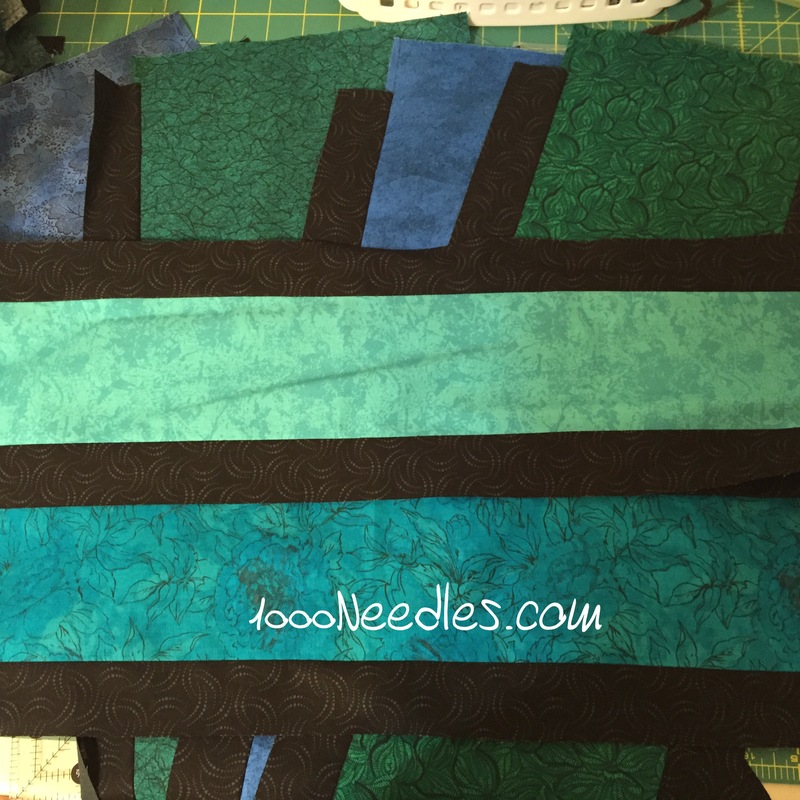 Step 5 was a whole ‘nother 8 pieces of fabric that I needed to cut 12 strips of 1-3/4″ each again. I didn’t take a picture of it. During the week, I would do 1 or 2 as I was able to. I figured I would be happy yesterday if I got it all cut and ready for me to put together. 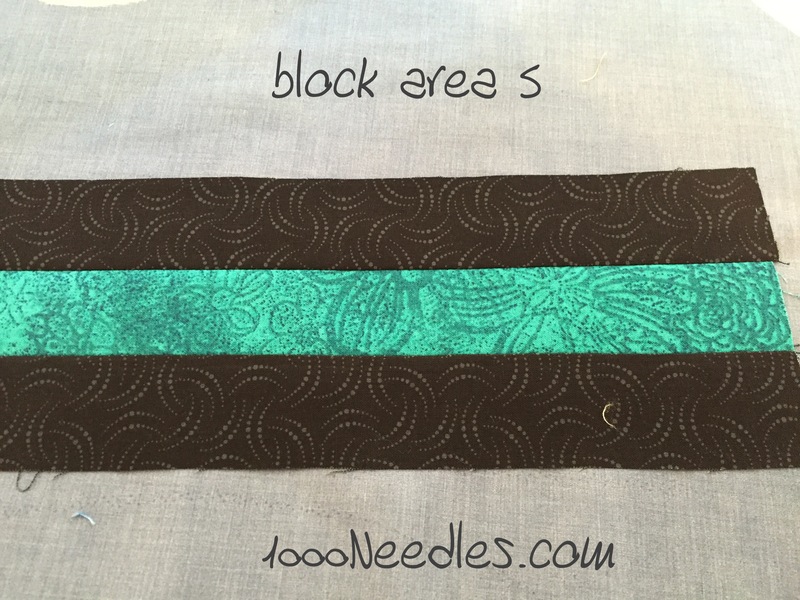 I did a lot more..
and then I was able to start sewing… I put the two different 9 patches together. I prepped my table for the next step..
Organization is key for Moon Glow in general but most especially for month 12. 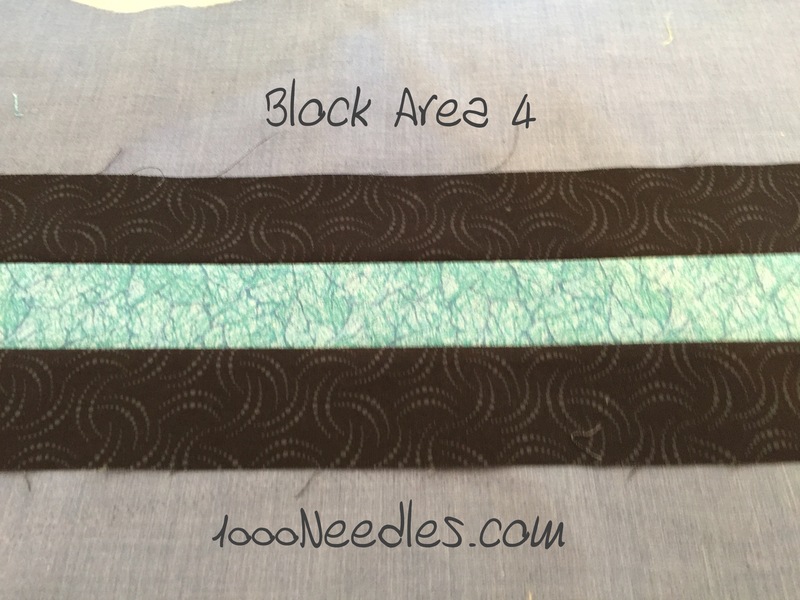 I placed a lot of numbers for the fabric # and then the block area #. 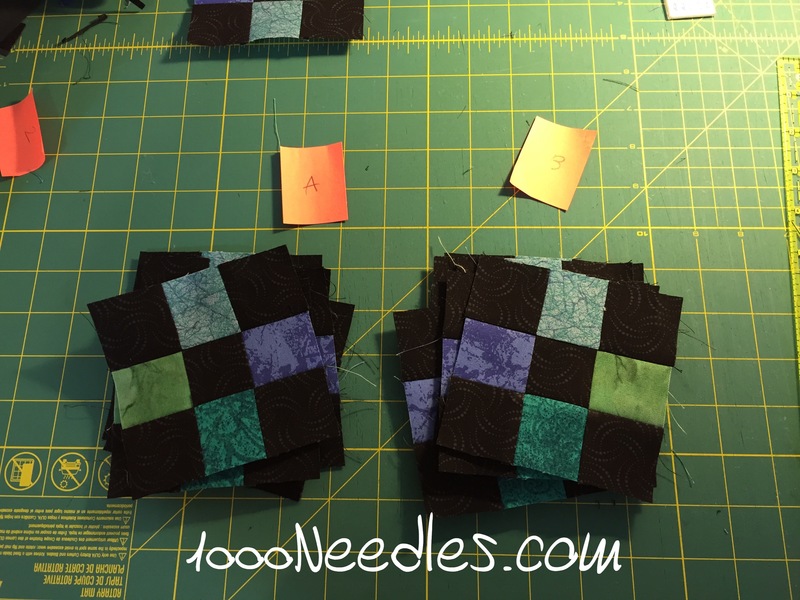 I have clue #3 for Scrapitude but I’m afraid if I put Moon Glow away I’ll forget what I was doing and have to re-organize myself. 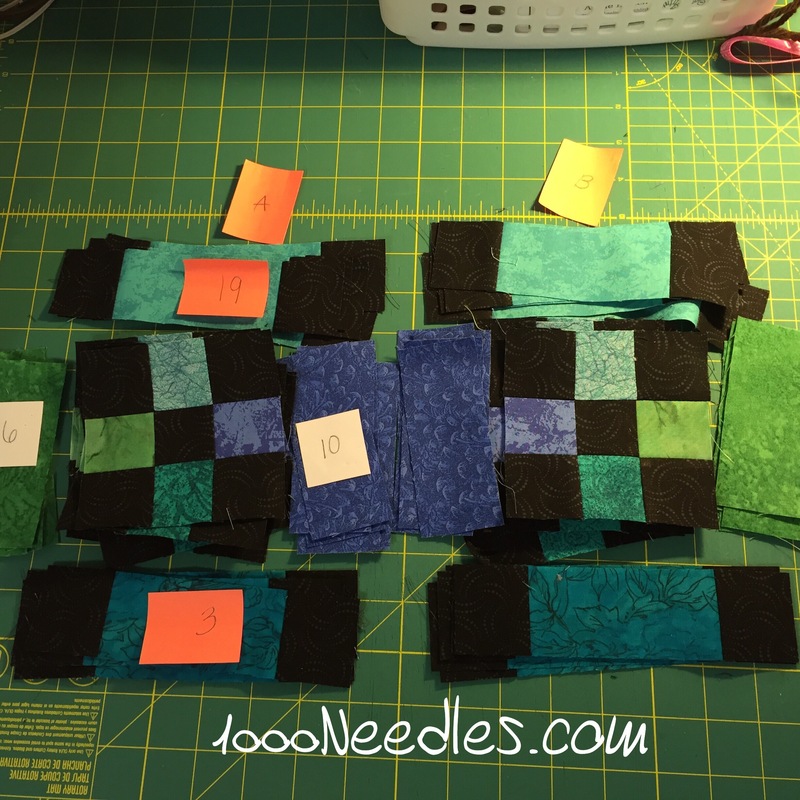 I think I’ll just power through and get these 12 alternating blocks done before I move on to the next thing.